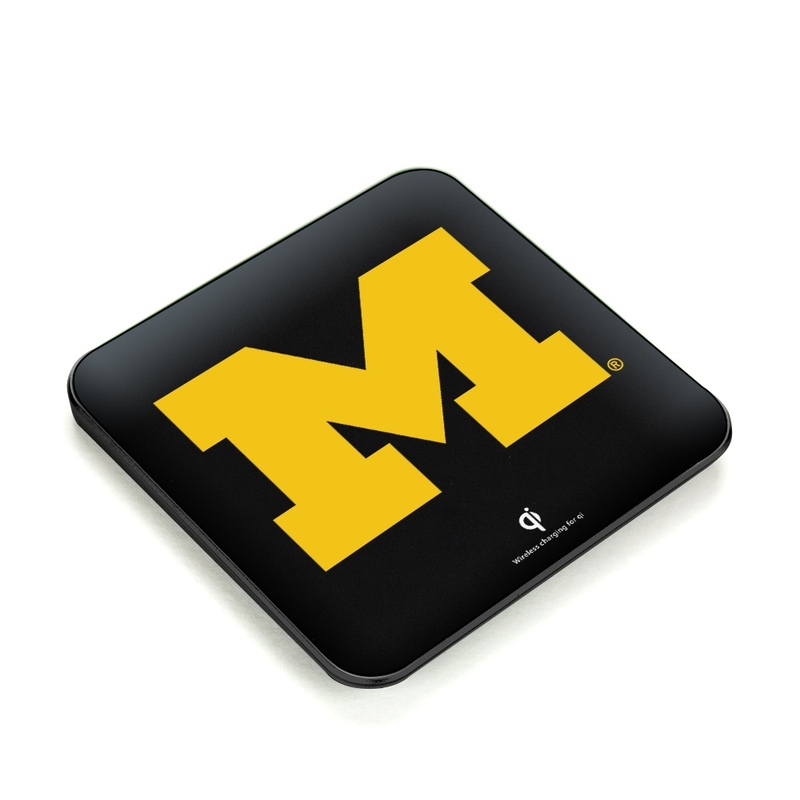 Power up your school spirit with the Michigan Wolverines QuikCharge wireless charger! 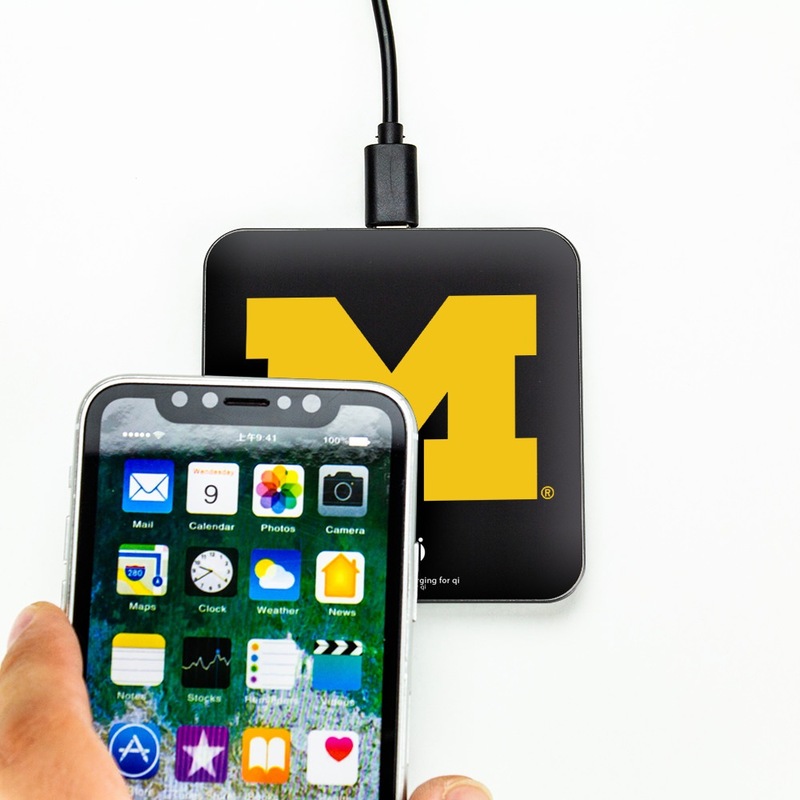 Your favorite licensed collegiate sports team’s logo will boldly and proudly sit on the surface of the charging plate, letting you power your mobile phone while also supporting your team. This wireless cell phone charger is easy to use too; simply lay your compatible mobile phone on the charging plate and you’re good to go. Pick it up as needed; no wires to tangle! 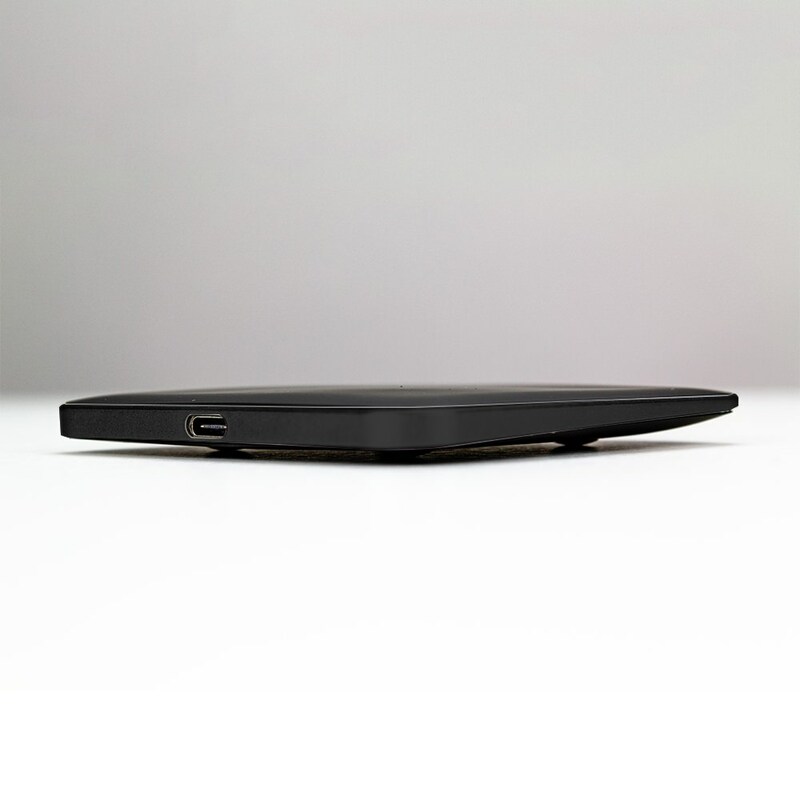 This Qi certified wireless phone charger reaches 10 watts, has fast charge capabilities, and is compatible with both Apple and Android phones. It even uses a USB-C charging cable!